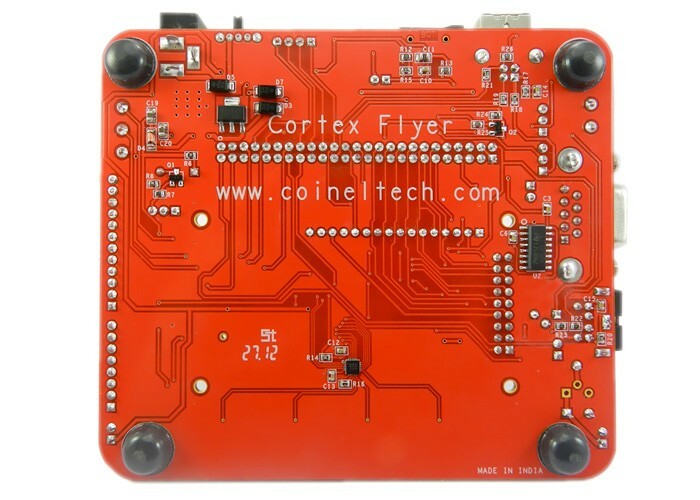 LPC1343 Cortex Flyer is a low cost learners/development kit based on Cortex-M3 series of microcontroller from NXP. 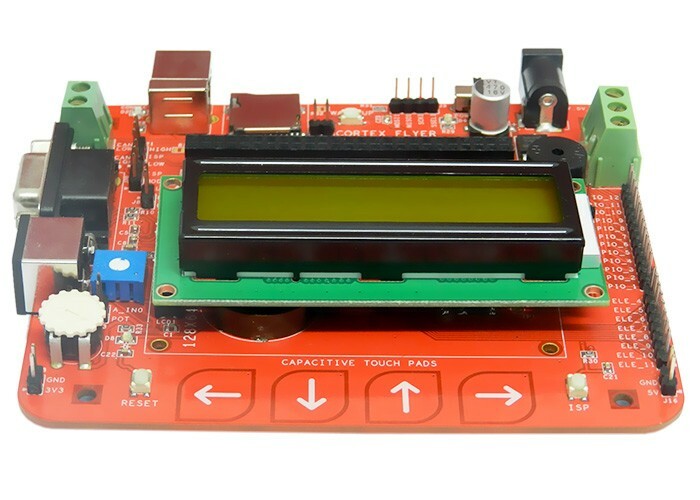 The board is designed for general purpose applications and includes a variety of hardware to demonstrate various peripherals for the controller. 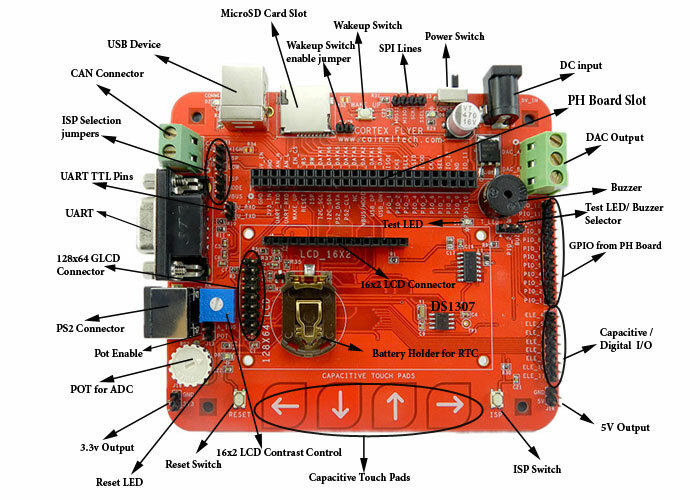 The board is ideally suitable for training, hobbyist and for developmental purposes. 50 PIN 2.54 mm Female Header for PH Board Connectivity. 16 PIN 2.54 mm Header for 16x2 (HD44780) Based LCD with contrast adjustment POT. Can be powered by USB and External DC Adaptor. 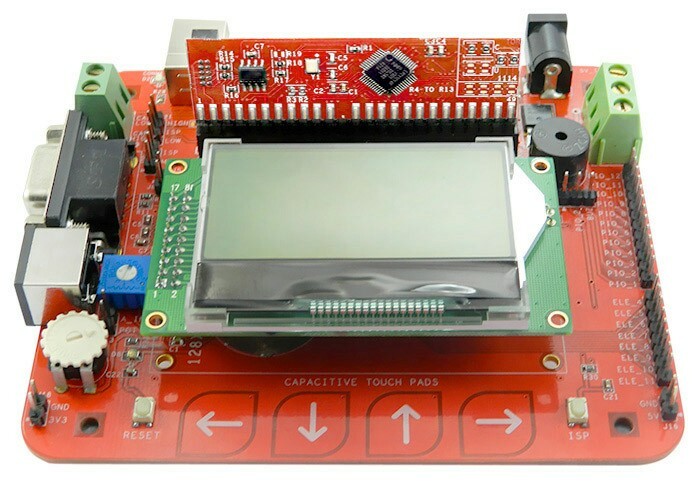 Note: The CoiNel CoLinkEx Cortex JTAG/SWD Debugger has to be brought separately and is not the part of LPC1343 Cortex Flyer Board. 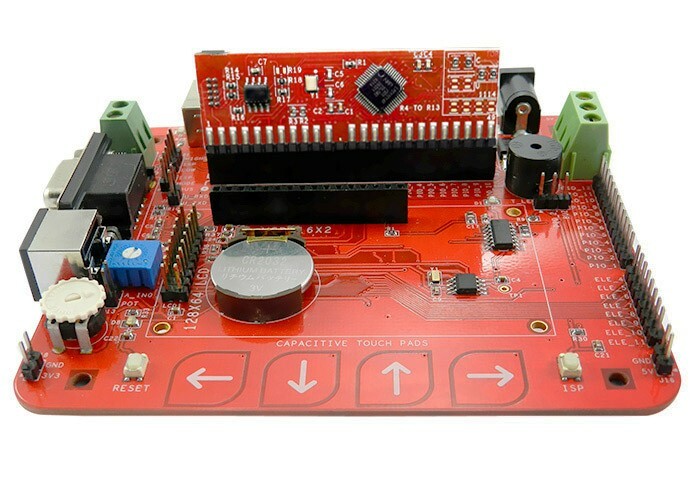 The LPC1343 can also be debugged/programmed with various other debuggers/programmers that support standard SWD connectivity options. 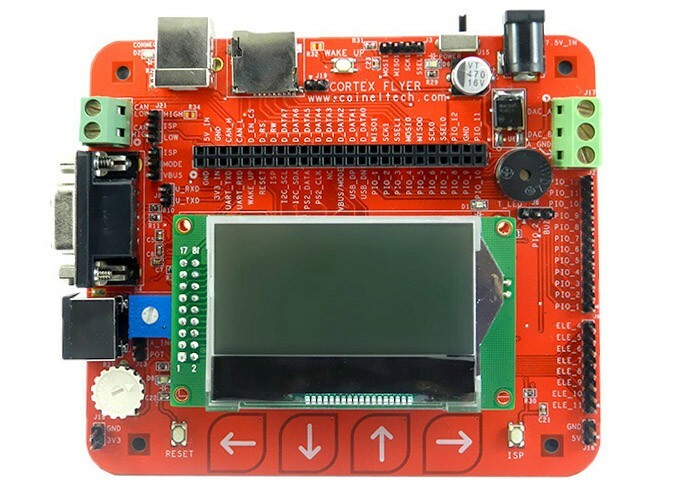 Programming can be done through the on chip boot loader using UART interface (UART0). 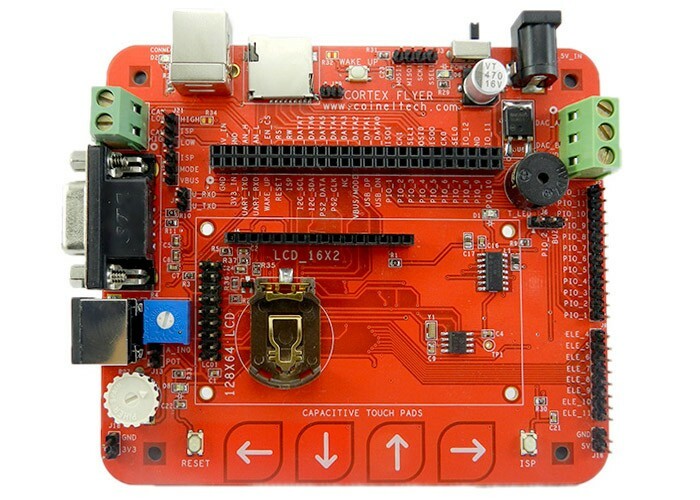 You will need a Cortex Flyer Base Board for ISP programming. The board is tested for ISP through UART only. CooCox CoLink Ex for Keil.